Duties include booking charter trips and boat rentals, managing ship’s store, secretarial/billing work. Ideal candidate must be personable, computer and internet experience a must. This is a full time seasonal position. Send resume to Ward Brothers Boats, Inc., 106 E. Antrim St., Charlevoix, MI 49720 or call (231) 547-2371 to set up an appointment to fill out an application. The Charlevoix Housing Commission is accepting applications for a full time Maintenance Supervisor. Applications can be obtained by contacting the Charlevoix Housing Commission office between the hours of 9:00am-4:00pm. If applicable, resumes can be faxed to 231-547-9686 or emailed to info@chvxhousing.org. The Charlevoix Housing Commission is an equal opportunity employer. Friske Farm Market is currently seeking to fill the following positions: •Baker •Cafe Cook (Breakfast & Lunch) •Support/Customer Service Staff •Shift Team Leaders Check out Friske.com to learn a little more about us! If you think this is what you've been looking for, please submit and application! Go to Friske.com and click on "Join Our Team" at the top of our site or email your resume to Heidi@Friske.com We look forward to getting to know YOU! Crew needed for Schulman Paddleworks Duties include sales and store clerk in store and/or at the beach to assist with rentals. Inboard, outboard, diesel and gas engines. Will train the right candidate. Full time seasonal position. Send resume to Ward Brothers Boats, Inc., 106 E. Antrim St., Charlevoix, MI 49720 or call (231) 547-2371 to set up an appointment to fill out an application. Are you looking for a fun and flexible career? WE’RE HIRING!!! 2 Full Time/Part Time Stylist Positions availableSeeking experienced, ambitious, industry skilled, professional, and friendly hair stylists. Someone who likes to work in a clean environment and has a passion for learning, staying trendy and fashion forward. 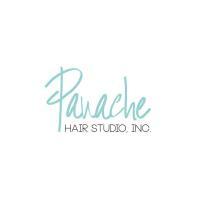 Find us on Facebook and Instagram for info on the salon. If interested, stop in or call today! The Lake House in Charlevoix is hiring full and part-time year round and seasonal employment. Great team atmosphere, store discounts, end of season bonus and competitive wage. Flexible schedule but some weekends and nights preferred. Stop in today for an application. Momentum is looking for Assistant Managers that are 18 or older to join our staff. Pay would be $12.10 an hour. We are also looking for Sales Associates that must be 16 or older with a pay of $10.10 an hour. We are looking for outgoing individuals! 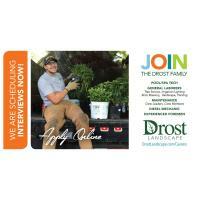 If interested call Dawn at (231) 675-5037 or apply through: indeed.com / or come into Momentum!